there are some brands which are already using disruptive strategy for their benefits in the retail sector and they have broken the conventional & traditional rules that retail selling can only be done either in 4 walls (brick & mortar stores) or on e-commerce. Today, technology is enabling new retail startups to overcome the high cost of brand’s entry into a shopping center which is plagued by high rentals, high fit-outs costs, low mall footfalls, inventory overheads etc. 26 Aug Will Retail brands need malls or shopping centers in future? 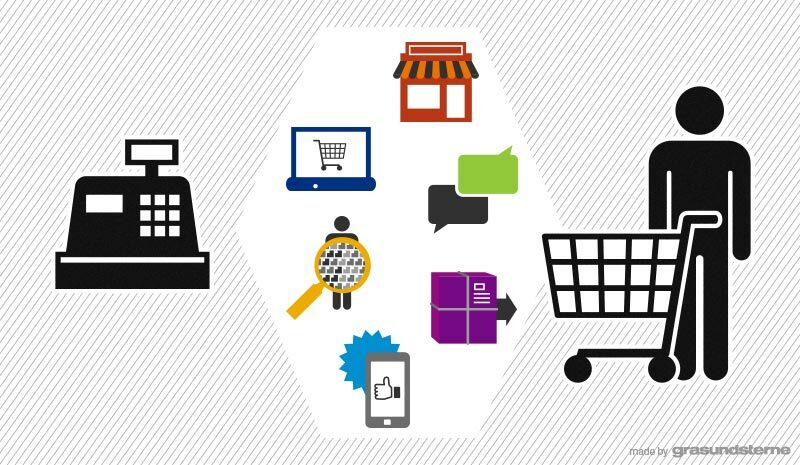 Can some brands create disruption in retail sector? Being in the retail sector for over 20 years now (14 years in the Middle East region) and post witnessing retail apocalypse wherein some major brands are either closing or filing for bankruptcy. I always wondered, whether there can be some disruptive technology which can offset and redefine the retail sector completely. Post researching and reading on disruptive technologies, I am penning my thoughts on this article and can confidently say that there are some brands which are already using disruptive strategy for their benefits in retail sector and they have broken the conventional & traditional rules that retail selling can only be done either in 4 walls (brick & mortar stores) or on e-commerce. Today, technology is enabling new retail startups to overcome the high cost of brand’s entry into a shopping center which is plagued by high rentals, high fit-outs costs, low mall footfalls, inventory overheads etc. I shall be giving a few case studies to prove my thought and rationale. High manpower costs, inventory costs & other costs which inflates the overall costs. Economic slowdown wherein majority of buyers have become discount seekers, they only enter the mall or store when they see some offer of sale banners. (Retailers and brands are to be blamed to some extent for this cause). High inventory aging and low inventory turnaround. Declining bottom line margins (since goods are only moving on discounts or low pricing). Lack of retail talent in the sector, most of the retail organizations are being run by finance professionals. (They lack creative ability to see beyond numbers and P&L statements. Thank God, great companies like Google, Apple, Amazon, Basecamp are not run by finance professionals.) Disclaimer: I have nothing against finance principles, in fact, it forms the core of a business but numbers & excel sheets narrow down your creative visualization that is the need of the hour at the moment for the retail sector. How do we bring disruptive technology in the retail sector? Should I sell my brand in my store or can I explore selling in someone else’s store (create distribution spread)? Can I reduce the store size and cut down on the rental costs? Key Action point: Restart your brand promise with CUSTOMER DELIGHT. Look at all activities that would add delight to all the customers who would enter the store. There are retailers in the US who are increasing customer delight by using drop shipping methods. Platforms like Revcascade are creating disruption in the way we do our merchandise planning, inventory forecasting. Gone are the days wherein you needed huge warehouses to store inventories and sit wondering every quarter as to what to do with the ageing inventory or out of season inventory. The financial solution is only Markdowns, end of season sales, promotions etc, all these make your gross margins lower. You may think that’s not such a big innovation. But financially it makes sense, you don’t block or order huge inventories in the first place, you save cost there itself. You enter an agreement with your vendor that the produced goods would be shipped from the vendor’s warehouse and hence you save on warehousing costs. The most important thing Revcascade is delivering is Customer delight. RevCascade is turning visitors who didn’t find what they want into happy customers and that’s good for everyone. The brand Bonobos decided that their stores don’t have to be 5,000 square feet in a mall, they can be 1,000 square feet. They cut their costs by genius stroke, Bonobos the men’s brand that lets you try on clothes in the store but doesn’t have any inventory to sell; anything you buy gets shipped to you from their warehouse after purchase. Most of the times it gets drop shipped from their vendor’s warehouse and you won’t even make out the difference, that’s the beauty of seamless technology. Brideside sells dresses for bridesmaids. Unlike most retailers that invest in real estate leases, Brideside invests in stylists, who give personal advice to brides and bridesmaids. You may say that’s just like Stitch Fix or other personal styling sites. But it isn’t, Brideside organizes its services around physical spaces where brides and bridesmaids get together with their stylist, often as a group, in person or virtually, to decide which dresses complement the big event. Most common places, it’s the home of the bride or one of the bridesmaids where they organize a try-on event with sample dresses and guidance from Brideside. It’s a unique model that leverages physical space and virtual styling. The stylists help the brides and bridesmaids. Eliminates the need for expanding physical store in different geographies. You may be well off with a couple of flagship stores as you are bringing your merchandise selection right at your customer’s doorstep. Bluestone.com gives a customer delight to their customers by making available their handpicked Jewellery styles in your home. You can try all the varieties in the comfort of your home and also take advantage of personal stylist who would guide you in your selection. Watch out the video. I would end my article with the famous words that when the things get tough, it is the tough who gets going.. Challenging times are the best teachers that help us to re-invent ourselves.